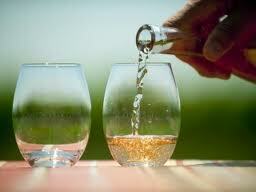 Welcome to First Glass Wine Tours of Long Island! Our love for what we do is palatable. You’ll feel it in the clean comfy seats of our luxury limousines. You’ll taste it in our savory appetizers, mouth- watering gourmet lunches and delectable desserts. You’ll smell it, as you savor the aromatic wines produced in Long Island’s Award Winning Wineries. You’ll even see it in our smiles and our service. First Glass is delighted to create a “First Class Experience” for you. Large or small, we’ll handle all the details. So come on over to our house, cause we’re serving up memories for a lifetime. We have several tour packages to choose from. Our standards our high; our rates are competitive. Reserve with us today or call 1-855-551-WINE (9463) for more details. Join our First Glass family; let us arrange a day of leisure and laughter that you’ll never forget!